"Our Idiot," formerly known as "My Idiot Brother," has at long last delivered a trailer. The film, which made its world premiere at Sundance, stars Paul Rudd as a Ned, a goodhearted stoner doofus who gets arrested selling pot to a uniformed--yes, uniformed--police officer. As he tries to put his life back together, he stays briefly with each of his sisters--played by Elizabeth Banks, Zooey Deschanel and Emily Mortimer--whereupon he unintentionally screws up each of their lives. The cast, which also includes Steve Coogan, Adam Scott and Rashida Jones, couldn't be much better, so it was with great anticipation that we settled in for a screening back in January. Sad to say, "Our Idiot Brother" left us a little cold. It's funny, yes, but nearly as funny as you might hope, and feels more like a series of sitcom episodes than a cohesive film. Rashida Jones and Paul Rudd hit the premiere of their new film, "My Idiot Brother," and chat about why the indie comedy is the perfect Sundance movie. Plus, was it difficult for Paul to grow and maintain the beard he has in the film? 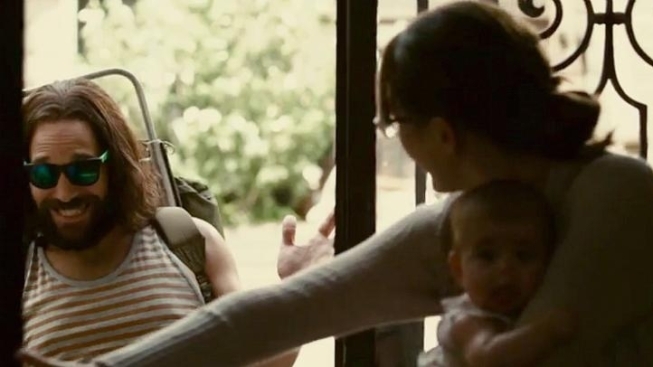 But, hey, we thought "Your Highness" was hilarious, so what do we know"
"Our Idiot Brother" opens Aug. 26.